Unveiled at NVIDIA’s CES 2013 press conference last night comes an interested set of new technology and innovations, all surrounded by what NVIDIA does best, which is gaming. 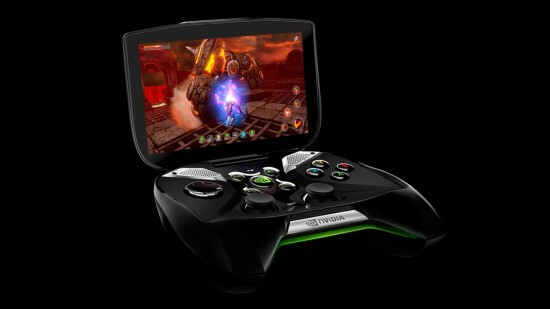 Discussed was NVIDIA GRID, Tegra 4, and Project SHIELD. 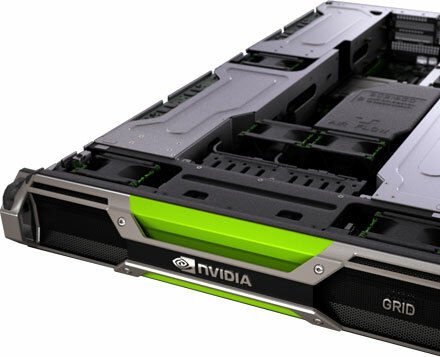 First came NVIDIA’s GRID platform, which is NVIDIA’s very own rack-mounted gaming servers that have up to 20 servers per rack, up to 240 GPUs per rack, resulting in over 720 simultaneous users. These servers stream games in real-time out to various devices, including tablets, smartphones, computers, and televisions. While speculated for months, Tegra 4 was announced and spec’d. NVIDIA’s claiming that Tegra 4 is the world’s fastest mobile processor, but given the rapid pace of advancing technology, it’s only a short matter of time until somebody else steps up above the Tegra 4. 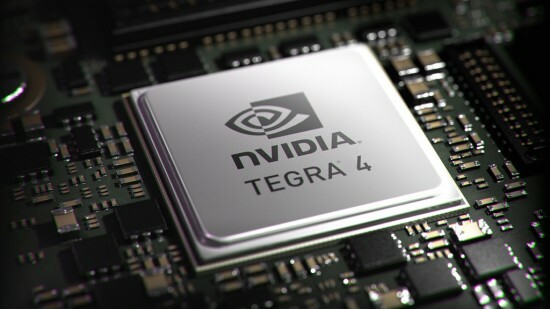 Compared to the previous Tegra 3 SoC, Tegra 4 features 72 GeForce GPUs, 4 ARM A15 CPU cores (plus the 1 low-power core for basic tasks), integrated 4G LTE, and 4K resolution support. NVIDIA also talked quite a bit about their “Computational Photography Architecture,” which can process various photographic tricks much faster than anything else out on the market. To the surprise of many, NVIDIA unleashed the SHIELD, which is their very own Android-powered Tegra 4-based mobile gaming unit. It actually goes far beyond that. Since the device runs Android, it supports HDMI-out as well as acting as a USB host, so that you can plug various USB-based devices into the unit. With that in mind, you could think of this as your own personal and powerful mobile computer that can be used on a monitor or television at up to 4K resolution. The SHIELD’s pricing is unknown, and the exact availability date is as well, but it’s said that units will be available sometime in Q2 of 2013. Given competing handheld gaming devices, pricing would look to be in the upper-$200/low-$300 range. In terms of specs, it features a 5-inch 1280×720 “retinal” multitouch screen, an enhanced audio system, micro HDMI, mini USB, microSD, and several hours of use on a single charge of the internal batteries. Oh, and don’t forget that the device runs “pure” Android, so you don’t have to worry about annoying and resource-hungry OEM skins being applied on top of Android. What I thought was most interesting was the fact that, given a GeForce GTX 650 GPU or higher on your desktop computer, you’ll be able to stream your own Windows games to the SHIELD and play your favorite Steam and Origin games.